Society is more germ-conscious than ever. It’s a trend to use devices incorporating anti-microbial materials for some specific environments to minimize the risk of spreading infectious micro-organisms and other bacteria. These scanners are loaded with the features required to perform outstanding reading performance and mobility in hygiene-sensitive environments. We are committed to providing excellent bar code scanners that address the needs of these applications. 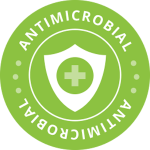 The newly developed antimicrobial scanners not only provide outstanding reading performance, but also protect your safety under complete infection control. 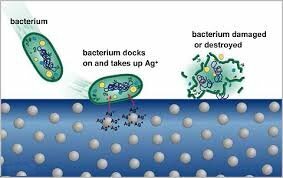 The housings of our anti-microbial scanners contain a silver inorganic antimicrobial agent, which will not be worn off during its lifetime. This provides a layer of protection against the multiplication and spread of potentially harmful microorganisms such as bacteria and microbes on the scanner plastic enclosure surface. The disinfectant-ready enclosure allows the plastic to be cleaned or wiped-down with commonly-used cleaning solutions in healthcare environments without harming the housing or the sensitive scanning components inside. These scanners meet the JIS Z2801: 2000 standard for Antimicrobial Products. In the healthcare industry, PDF417 and 2D bar codes are commonly used on patient ID bracelets and medications to improve patient safety. Many pharmaceutical and biomedical companies use 2D bar codes to track laboratory samples. Our antimicrobial scanners can serve a wide range of specific applications where a hygiene-sensitive environment is paramount and high-level safety is vital, such as healthcare, pharmaceutical, cosmetic, food industries, medical laboratories and other sterile environments. Check out our range of antimicrobial scanners.